Breakfast in Munich, dinner in Rome - without emissions or range-anxiety. Electric cars might be great. They might even be the future. But we won’t know for sure until we are able to rely on them beyond the comfort charging zone of our city. 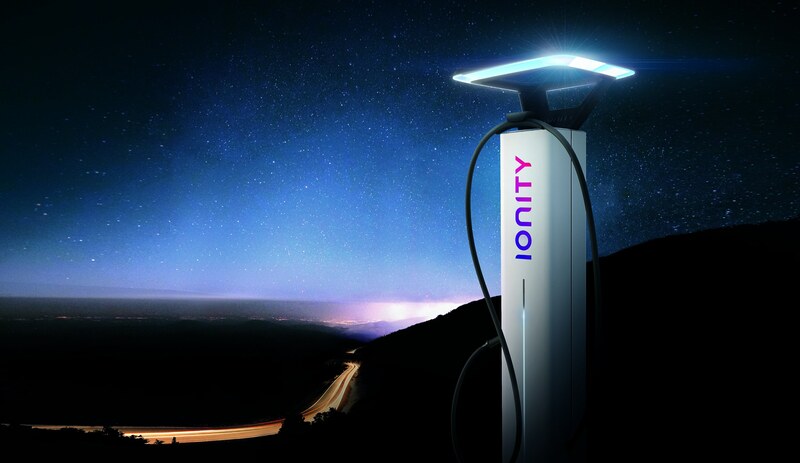 Luckily, by the end of 2020, IONITY’s 400 stations along major European highways will make long distance travel a reality, so that electric vehicles can finally prove themselves capable of being “real” cars, with really big potential. Designworks was challenged to come up with a design that was aimed at making e-mobility more attractive for long-distance travel. The goal was to create a recognizable, welcoming and leading-edge identity in Europe, whilst improving the electric charging experience. No driver should ever start a long trip thinking “are there charging stations on the way?”, “does it take forever to charge?”, or “are they easy to use”? All of that should be given. When you are standing in front of the charging pylon, in the middle of the night, after a five hour drive, you should know exactly what to do, just by looking at it. A face for fast electric charging in Europe. We used simple structures and clean design to create a charging experience that makes the driver’s life easy and uncomplicated. The charging stations we designed for IONITY’s European network are defined by an open, inviting space with balanced proportions and zero complexity. So that when you are standing next to the charging pylon, you know exactly what to do, just by looking at it. Even if it’s in the middle of the night, after a five hour drive, or you’ve never even done it before. Michael Hajesch, CEO at IONITY. The charging experience should look welcoming, uncomplicated, and recognisable from a distance. Day and night.